Little Luca is a physics puzzler that takes a lot of simple elements and makes a wonderful game with a surprising amount of depth. Pixel art and physics puzzlers tend to not really cross paths that often because of the very different types of gaming that they represent. Pixel art represents that retro era of gaming, of games that existed in a time when processing power was at a minimum, and 256k was enough RAM for anybody. Physics puzzlers are incredibly modern, flagship of the era where we carry powerful computers with high-speed internet in our pockets. So Little Luca, a physics puzzler with pixel art, seems like a strange combination. Opposites attract, however. The goal is initially simple: get a ball to the goal and collect the three stars along the way by using that most dark of arts: physics. The game is all wrapped in a relatively simplistic pixel art style. Doesn't sound exciting yet, I know. But it's the wide variety of ways that players get to manipulate the environment that adds depth to the game. Players will reshape the landscape to launch the ball and give it soft landing spots in some levels. The wind can be manipulated to be more intense. 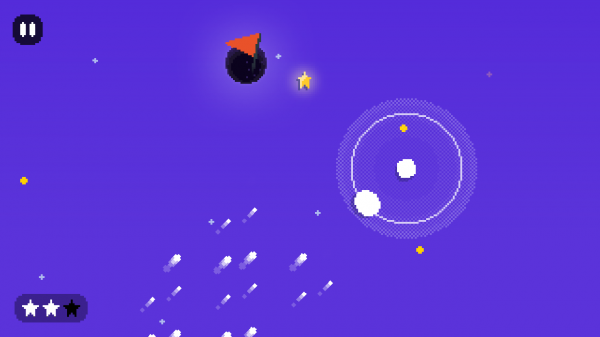 Later levels start to even involve gravitational orbit, blending all these disparate elements across 90 levels. Oh, and the thing that makes this game feel especially clever: it's all controlled with one tap of the screen. Holding down on the screen will enable gravitational pull or the intense blowing of the wind, and letting go at the proper times becomes important. The way that the levels bring in so many ways of manipulating the ball with one tap, and especially how they all come together to former clever new challenges, is what makes Little Luca worth checking out. 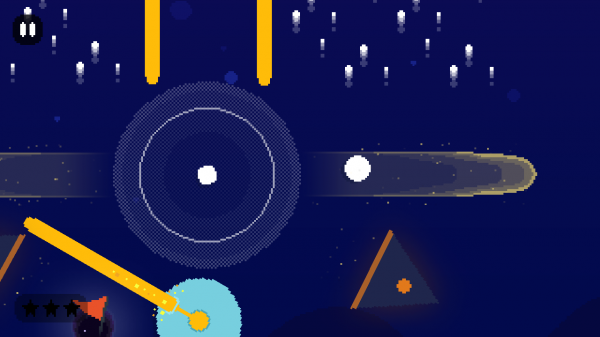 This game feels quite special for a physics puzzler, which is a miracle considering there's about a million of them, and that's just counting the ones that Chillingo's published. So, even for those that have gotten sick of physics puzzlers, Little Luca is original enough for even the most jaded gamers to make an exception for.